SLV has been underperforming GLD by a hefty margin over the last 6-7 months as there is zero momentum due to the weak technical picture and supply/demand fundamentals remain neutral. The low silver price combined with the operational and financial issues that many silver producers are dealing with is resulting in some very poor performances in the silver stocks. What's currently taking place in the silver market isn't out of the ordinary, and when gold breaks out, it will pull silver up with it. While gold has enjoyed a nice run since the fall of 2018, silver has struggled to make any headway. Normally, what's good for gold is good for silver, as these two precious metals typically rise and fall in tandem. Silver, though, is like gold on steroids. When a bull market in precious metals is taking place, silver usually far outpaces the gains in physical gold given that silver is a much smaller market and a more volatile metal. Just a slight increase in buy volume can have a major impact on price. 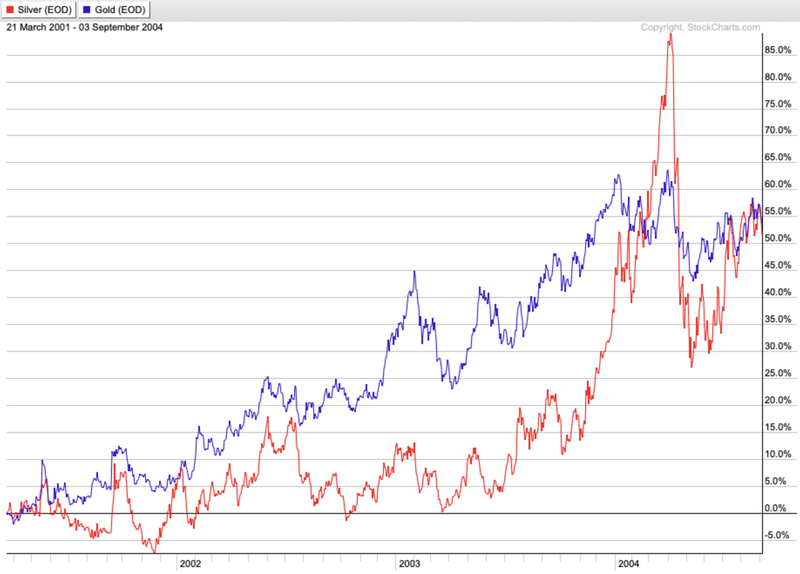 It's not uncommon for silver to outperform gold by 2:1. That's certainly not occurring now, in fact, silver has been underperforming gold by a hefty margin over the last 6-7 months. If we compare the gains in the iShares Silver Trust (SLV) to the SPDR Gold Trust (GLD) over that time period, there is a noticeable lag in SLV. In this article, I will discuss why SLV is underperforming, how it's impacting the silver stocks and why there is hope for a silver bull market. SLV hit a bear market low of around $13 in December 2015. It took almost 5 years to reach that bottom after having peaked at ~$50 in the spring of 2011. From those lows, SLV proceeded to increase 50% to $19.50 in a span of just 6 months. Since then, though, SLV has been a real mess. Not only did it give back all of those gains and retest the lows last fall, but over the last month it's been struggling to even stay above its 200-day moving average. Compare that to GLD, which was near its 2016 peak up until a few weeks ago. For the last several months, SLV has been closer to its bear market lows than its 2016 highs. That's how bad it's been lately. There is zero momentum right now in SLV as a breakout has been lacking. Technical-oriented traders looking to take major long positions won't jump into the silver market until the chart improves. Traders, algos, etc., searching for momentum aren't finding it yet in the physical silver market. There is simply no reason for them to invest on the long side until the technical picture is brighter. At the end of the day, it's always supply and demand that ultimately determine the direction of any investment or asset class. When it comes to silver, its supply/demand outlook is fairly neutral at the moment. Worldwide silver mine production has increased since 2008, but scrap supply has dwindled, which has led to an overall supply that has steadily declined since the peak in 2010. Mine production actually hit a top back in 2015, and while 2018 figures are still being compiled, it's projected that supply was flat year over year. Given the slight drop in supply over the last several years, one would think that would result in an upswing in the price of silver. However, demand has been declining as well during that time. Silver is both an industrial and precious metal. About 55-60% of its annual demand over the last 5 years has come from industrial fabrication, and demand for silver for these applications has remained basically flat during this time. The same goes for jewelry and silverware, which account for roughly 25% of silver's overall demand. The rest of the demand comes from the investment side via coins, bars and medals. It's the investment side that is the real driver of the silver price — as its demand can fluctuate by extreme degrees and greatly influences whether there is a deficit or surplus in the silver market. 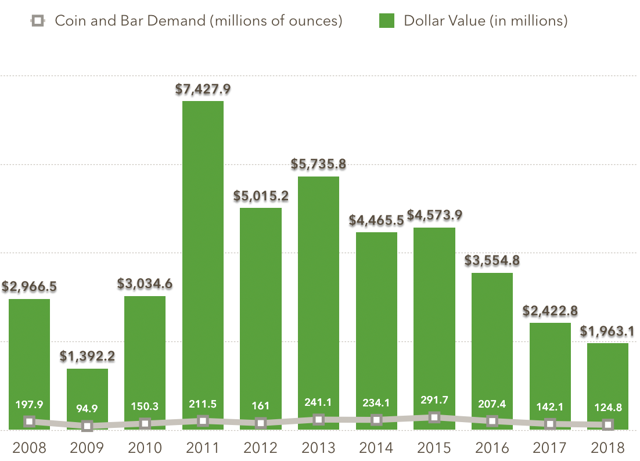 Demand for silver coins and bars must be looked at not just in terms of millions of ounces, but also in total dollar value given the significant decline in the price of silver since 2011. In 2018, both the total ounce demand (124.8 million) and dollar value ($1.96 billion) was the lowest since the 2009 financial crisis. Overall silver demand for 2018 is projected to be a bit less than supply — mostly because of the continued fall in investment demand. Which means there will be a slight surplus for 2018 as not all of the silver produced is expected to be absorbed by the market. Until investment demand picks back up, there will likely be just enough annual supply for the market. The NYSE Arca Gold BUGS Index (or HUI) is a group of gold stocks that is used to track the performance of the gold mining sector. The Global X Silver Miners (SIL) is an ETF that contains a basket of many of the most popular silver producers. Since the September 2018 lows in the mining sector, the HUI is outperforming SIL by almost 2 to 1. Some of the stalwarts in the silver mining space like Pan American Silver (PAAS), Hecla Mining (HL) and Coeur Mining (CDE) have seen single or double-digit percent losses since the fall of 2018. Meanwhile, many gold stocks have been generating absolutely stellar returns. All of the blame can't just be on the price of silver, as a slew of silver miners are experiencing operational and/or financial issues as well. It's been difficult to find a quality silver producer that is meeting or exceeding targets at the moment. A few also have overextended balance sheets, which isn't helping matters. If silver was outperforming — like it typically does during a gold bull market — then these producers would be able to overcome some of their operational and/or financial issues. But margins are so thin right now for most silver miners, that the group as a whole is struggling to generate decent cash flow. There are many gold companies that have AISC in the $800-$1,000 per ounce range. At $1,300 gold, margins are quite healthy. 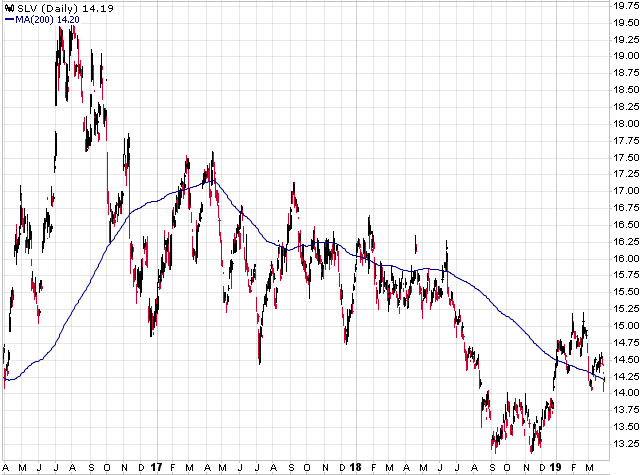 Compare that to the silver miners, many which have AISC of $13-15 per ounce yet silver is struggling to stay above $15. If you analyze the cash flow statements of these low margin silver producers, you will see some lackluster results. 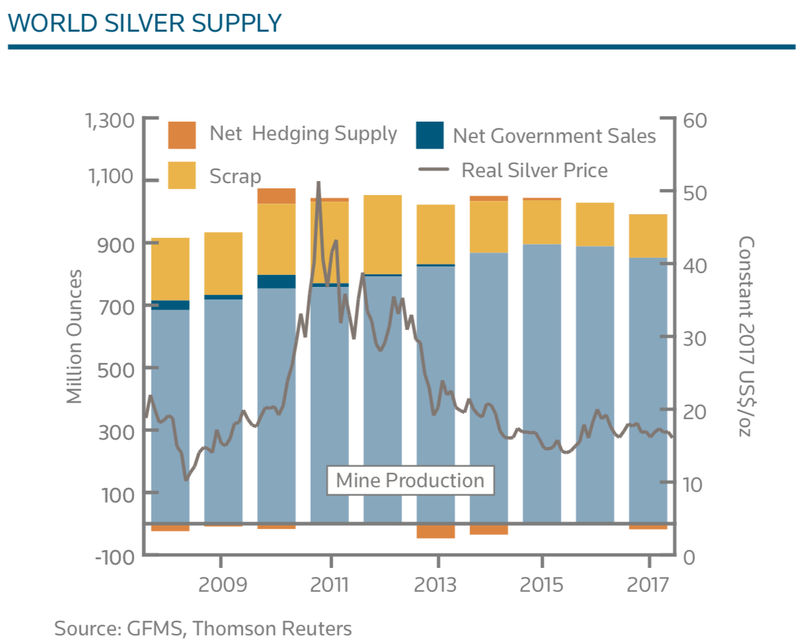 The depressed silver price, accompanied by the issues that many silver producers are facing, means there is no rush to go out and buy a bunch of silver miners. In fact, my list of top 10 gold and silver mining stocks consists only of gold miners. It's been that way for the last 4-5 months, as not a single silver miner has cracked my top 10 since last November. Even in the months before that, I only had one silver producer on the list. In 2001, gold had embarked on a new bull market. In the first couple of years of that run, silver was lagging by a wide margin. At several points early on in that cycle, silver was showing a gain of 0% while gold was up 10%, 20%, even 25%. It wasn't until mid-2003 before silver started to finally break out of its doldrums. It ending up surging 85% in a span of just 1 year. When the bull market in gold was in full swing, silver generated even stronger returns and eventually was sporting a 1,000% gain by 2011. More than double that of gold. What's currently taking place in the silver market isn't out of the ordinary. 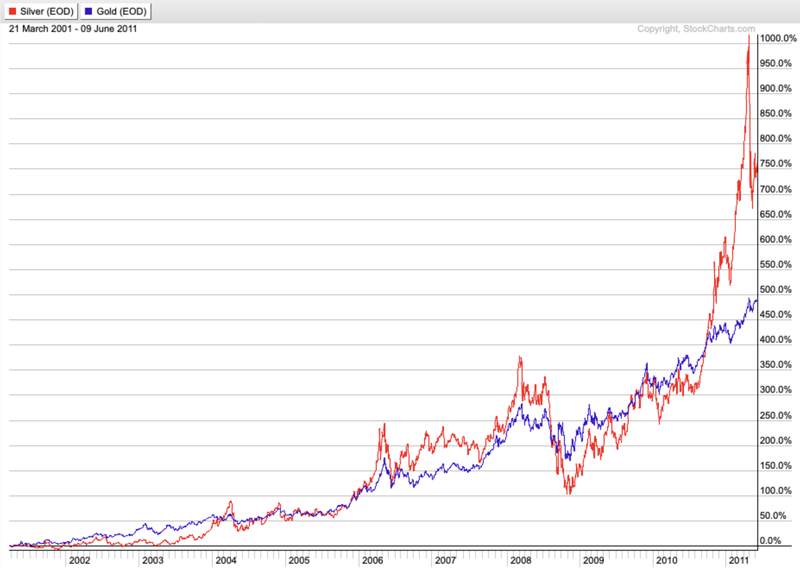 A rising gold price will eventually pull silver out of this listlessness, just like it did back in the early 2000s. Gold might need to break out first, but that surging investment demand on the gold side will spill over into the silver market. A $5 billion increase in silver investment demand would create a ~150 million ounce deficit in the silver market. At that point, the supply/demand fundamentals would be extraordinarily bullish. It also shows that it doesn't take much to flip this around; $5 billion is a drop in the bucket for the gold market. The gold to silver ratio is at a 25-year high and close to all-time highs, which means the silver market is likely close to a turning point (assuming gold maintains this upward momentum). For now, I'm going to keep my focus on the gold miners, but if gold moves even higher, then soon it will be time to plow into physical silver and some of these beaten down silver stocks. I'm just waiting for key breakout levels in both silver and gold. The opportunity in this sector is here, but to succeed, you need a deep knowledge of gold and the miners. 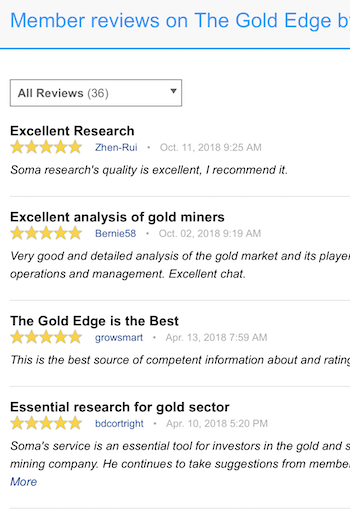 The Gold Edge is my premium, research intensive service that provides that knowledge. I'm covering miners that are best of the best, including deep value plays, prime acquisition targets, and explorers with huge upside potential. I'm also frequently updating subscribers on the market and expected direction. There's currently a free two-week trial, so take advantage while you can. Click here for more details and to subscribe.